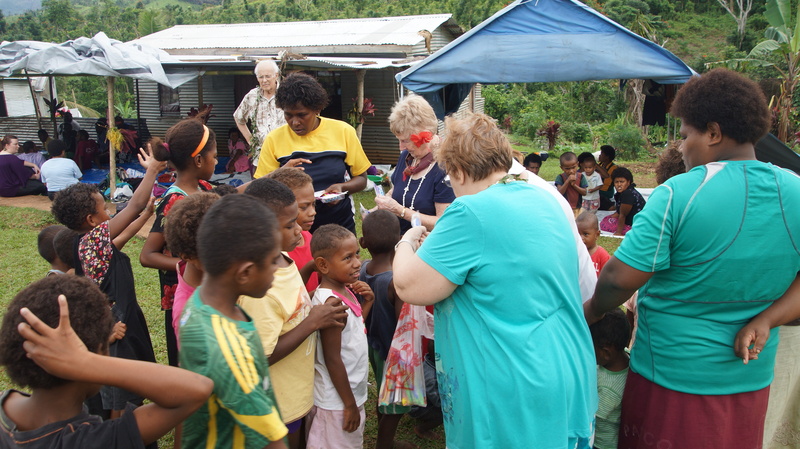 ‘Our little can really make a big difference’ was how one Golden Oldie summarised this mission to Fiji. 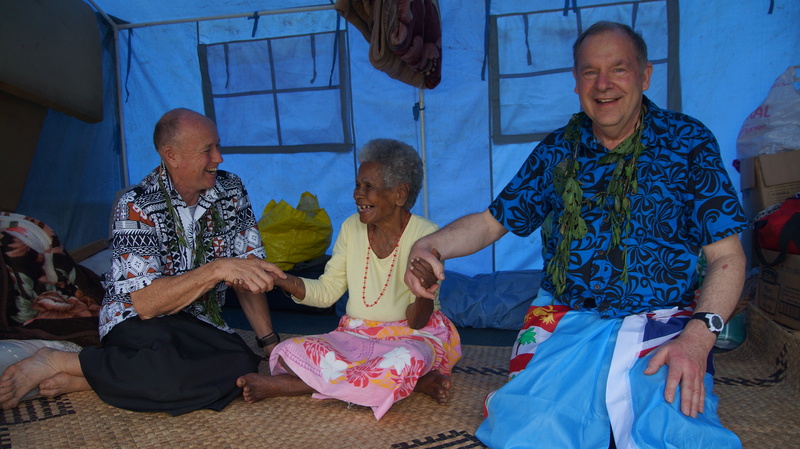 Returning annually over the past 5-years to build on established relationships continues to strengthen the Fiji Churches-Golden Oldies mission partnership. 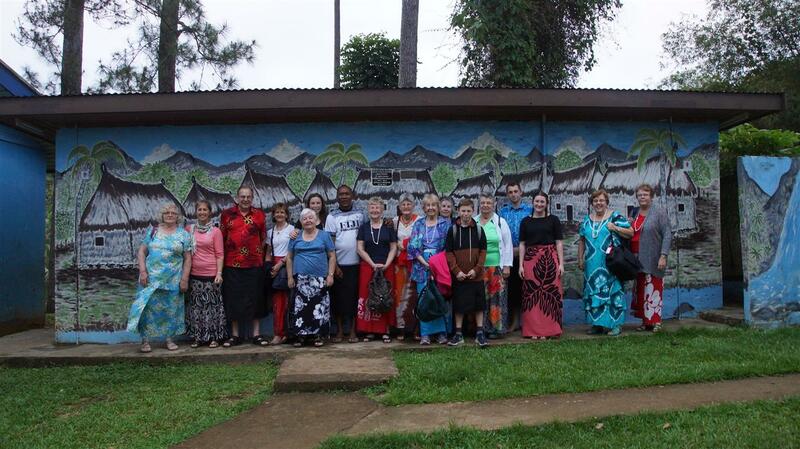 Here is a snapshot of some of the contributions this team, and friends from NZ, have assisted to contribute to God’s Kingdom and people of Fiji. A Fijian Senior Nurse sat in despair at the urgent request for 2 nebulisers urgently needed for the crowded Heath Centre. Unbeknown to Adele, the Golden Oldies Nurse, she was about to present 2 nebulisers to her on behalf of the team and many supporters from NZ. The team prayed for people with a variety of needs, from the ministry for ‘the Chicken Boy’, to sick children in villages, to teaching needs at Schools, and development of a new church project, and much more. 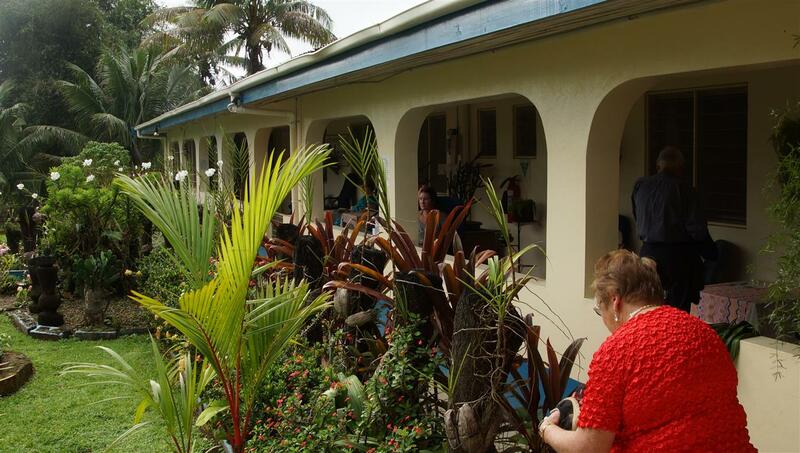 Visiting an Old People’s Home, and asked to meet with Government officials to talk of ways of partnering with the Fijian Government about the future delivery of Aged-care in Fiji. To learn about the struggles for land ownership and for Fijians of Melanesian descent. This was alarmingly evident with new subdivisions encroaching on their ‘ancestral land’ and the uncertainty of villages like Nadawa. It was great to be able to support their micro-business and buy their grass booms as well. Be inspired by St Luke’s Men’s Ministry to uphold the woman of their church with a celebrationary dinner in their honour. Then establish a practical DIY ministry for the woman and widows in their local community. The Golden Oldies have offered to provide the tools for this handyman ministry. Visiting a prison has re-opened the doors for a prison ministry to commence again. ‘Taking ice cream and cones for the men today was a treat like Christmas day for the men’ commented the Prison Major as he thanked the team for their encouraging visit. Preaching Biblical truths to Ministers, Christian studies for families, trauma counselling from the impact of recent Cyclone Winston, small business start-ups, micro-business crafts, and offering health wellness checks. Giving donations of children’s story books, bibles, clothing for newly born babies and first-time mothers, toothbrushes for children, swimming equipment for water safety training, a guitar, an electronic keyboard, a smokeless cooker, blood pressure and other medical supplies, school stationery, and clothing to churches, schools, hospitals, villages, and individuals. Providing the first ever Rugby 7’s team jerseys to a Village so their youth can enter the provincial rugby competition. Officially launching the Village ladies fishing boat to provide a safer way to catch fish and provide more funding for the children of their Village. 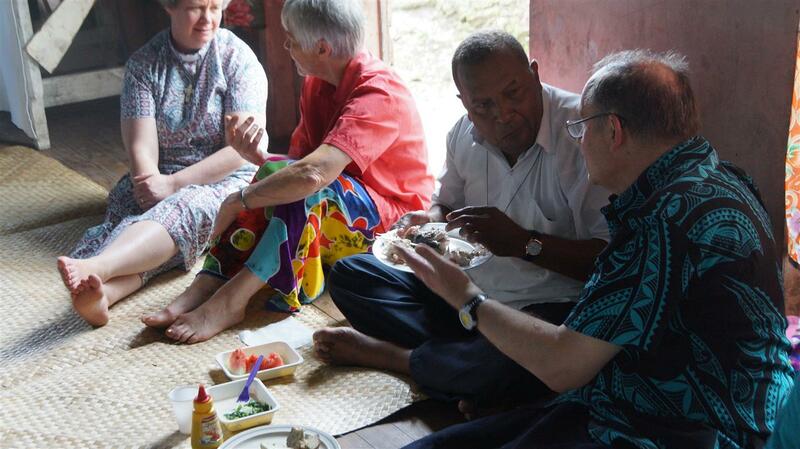 Establish a partnership between Maniava Village, the Church and Golden Oldies, to use local clay to build the first ever mud-brick home in Fiji for a 85-year old widow in their Village, as a Demo Home. The success of this house could lead to the redevelopment of the 33/37 homes destroyed in this Village from the recent cyclone. To share in the joy and celebrations of Fiji winning the first Gold Medal of any small Pacific Island nation at an Olympics. The Champion Fiji 7’s team have brought much pride and joy to these beautiful islands with their rugby passionate people. 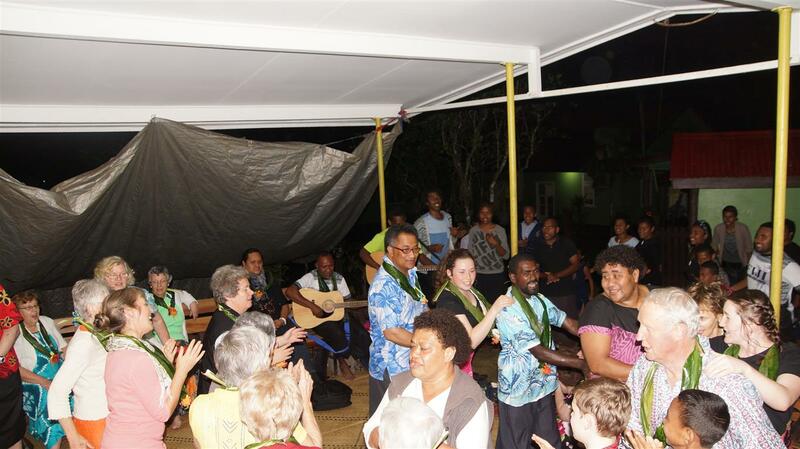 Finally, to God be the Glory, as together in partnership between the Fijian Churches and Golden Oldies, we strive to further the Kingdom of God in the Pacific. The woman from a squatter village fish 6-days a week, 7am to 7pm. Either by standing in the surf and casting their lines, or standing on a bridge and dropping their hand lines into a river below. That was till the Golden Oldies learnt more about their hardships during their on-going partnership with this village. Now having received fundraising from many current and past team members, a new boat was commissioned to be built for them. Not quite completed, the team and fisher ladies travelled to a remote boat workshop to see progress on the boat. It was heart-warming to think these ladies will soon have a safer way of catching fish. Furthermore, by being able to row out into deeper water, they will be able to catch bigger and more fish. That means more fish to sell and money for their children’s education and improved health. It was a shock for Roger to discover the name of the new fishing boat! We asked a supporter and Golden Oldie Roger to officially commission the launch of the boat and announce its name. Unbeknown to him, we thought ‘the Jolly Roger’ was quite apt, and was received with great hilarity. God has led the Golden Oldies team, to this remote village, at this time, for a specific purpose, could not be doubted. 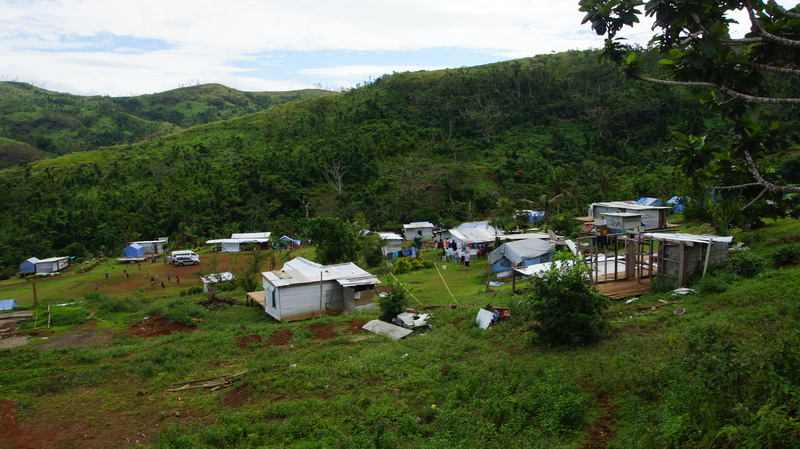 Maniava was one of the most devastated villages from Cyclone Winston in early 2016. 33/37 houses were destroyed. One man was lifted off the ground and tossed into the surrounding bush during the 5-hour cyclone with its jet-engine intensity noise, torrential rain, freezing temperatures, pitch darkness, and with no-where to run and hide. The Village searched for this lost man after the winds receded, finding him an hour later. They have given him a new name. He is called ‘the pilot’, who crashed landed! Today, 6-months on they remain living in tents, and the children walk 2-hours daily each way to school. Golden Oldie Avila heard that toothbrushes are seen as a delicacy and brought enough for each child to receive their own toothbrush. The Mothers were overwhelmed with appreciation, and the excitement of the children said it all. Last week we had never met Alfred. A father with 5-children had lost his wife. A building engineer by profession and running his own business, suddenly circumstances changed and life dealt him some harsh times. He ended up on the streets until he decided to give God another chance. 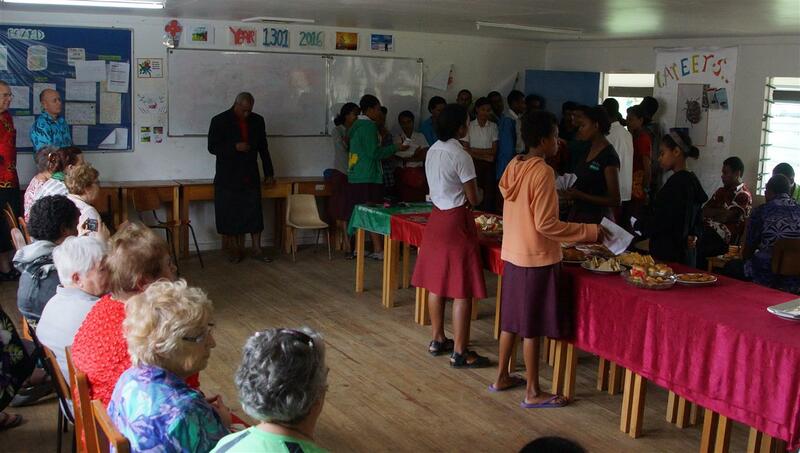 Now he is involved in an Anglican church in Suva. Throughout this time, Alfred had a vision. To train unemployed people to build mud-brick homes for rural villages. That vision has burned away in him for 6-years, but he had no idea where and how to bring it into being. Roger, a ‘Graduate’ Golden Oldie returning to offer his business and financial expertise, on his first day travelled to the Suva Cathedral. Just being available to meet with people who had a business idea. Enter Alfred. He came to talk to Roger about possible projects for the Cathedral. But, his heart held his vision as well. At the last moment he revealed his mud brick housing dream. Events have moved quickly. 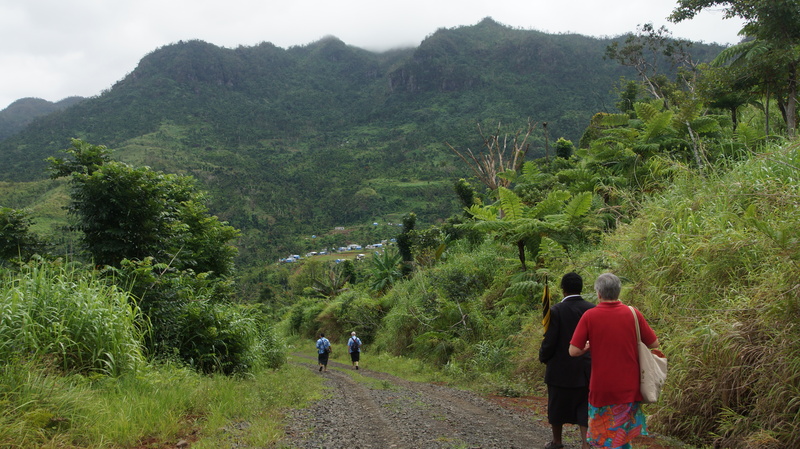 The team invited Alfred to join them on their day trip to the predominantly Anglican village of Manianva. A meeting with the Village Chief and Elders debated the idea of making mud bricks. Then it moved to using them to build a ‘demo’ 2-bedroom house for an 85-year old widow in the village. The ‘mud’ at Maniava is high quality red clay that has been tested by NZ scientists and the mud bricks are 4-times stronger than ordinary concrete bricks! The village is literally walking on a goldmine of mud! Mud that can rebuild their 33 houses, and be used to make and sell bricks in a country with a desperate shortage of building materials. 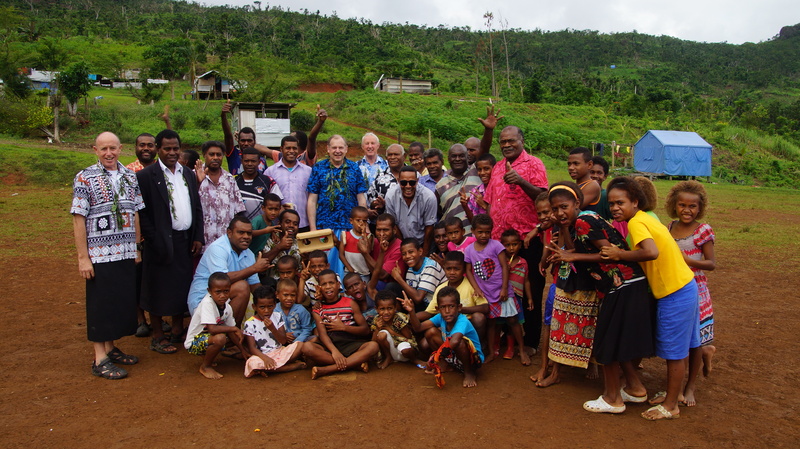 After hours the meeting concluded with a commitment to trial the mud brick home construction –the first to be built in Fiji. Alfred’s 6-year vision giving new hope to people with training, employment and homes called ‘Hope Homes’ was suddenly becoming a reality. A partnership between the Village (doing the work), the Church (providing the technical and pastoral oversight) and the Golden Oldies (providing the full funding) was established. But not quite. One last initial hurdle to overcome. 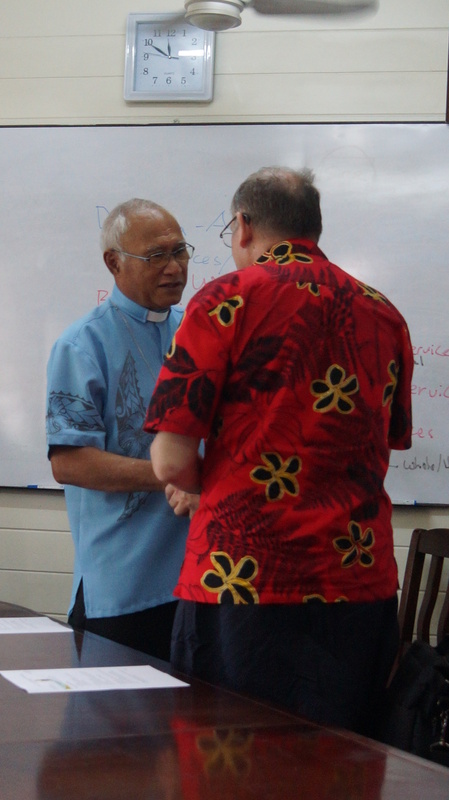 We needed to present this proposal to the Archbishop of Polynesia for his consideration, approval and blessing. To ensure this was acceptable to the overall Church. A man who travels constantly and has an over-booked diary of commitments and daily duties to attend, makes it virtually impossible to meet at short notice. We returned from the 3-hour bus trip to the Orphanage early evening, and within 5-minutes of arriving back, a phone call was received from Principal Amy. The Archbishop has asked to meet the Golden Oldies tomorrow morning at 10am. We had been summoned! The 30-minute meeting lasted an hour and a half! 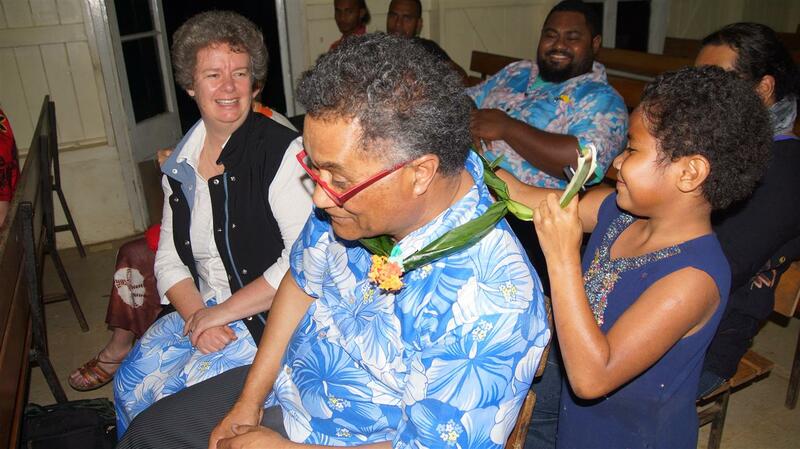 The visionary and spiritual leader of Polynesia graciously shared his ‘Moana Anglican’ vision, the establishment of a new Polynesian Bible College and desires to see a fresh, spirit-filled move of God throughout the Pacific. The team shared their learnings and the ‘Hope Homes’ vision, with Alfred in attendance with the team at the meeting. This demo ‘Hope Home’ plans to be completed, and officially opened before Christmas, as the dawn of hope awakens on this serene, remote village recovering from the trauma of experiencing the worst cyclone in living history. The ladies of this village carry their fishing gear down the tracks to the river where they use their hand lines to cast out for fish. They leave at 7am and return back to the village at 7pm, 6-days/week, Monday-Saturday. Every week. They supply fish for their village, and any leftover is sold on the main road. The team were warmly welcomed by the village people, on their only day off, for a celebration luncheon in honour of the Golden Oldies visit and partnership with their village. This week we hope to launch a new fishing boat for the ladies to use, funded through donations from Golden Oldies. Today was supposed to be the day for the launch. But ‘Fiji time’ was evident with torrential rain here in Suva last week delaying final construction; and there was a little Rugby 7’s match that brought the nation to a standstill too! No worries, we hope to have the official launching this Wednesday – well that’s the current plan. Many Golden Oldies talked with Village people and further ideas for building a deepening relationship were developed. Tomorrow the team head off early for a long day trip to the top of the main island, then inland on mud roads to visit a village virtually destroyed by Cyclone Winston. We have purchased essential food supplies to take to help them as they await the harvest of their newly planted crops. 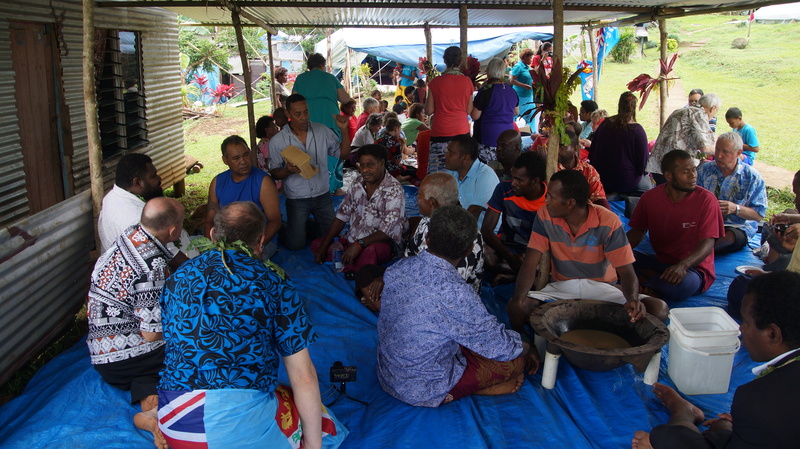 A meeting is also arranged between the Village elders, Church leaders and Golden Oldies about an innovative new housing programme and small business that could bring new life to this village, and other villages beyond. The team are travelling well, and it’s an early night tonight, before an even earlier start tomorrow. The Golden Oldies ended up in Prison today! The change in welcome from a very ‘hostile and guarded’ approach 3-years ago to a ‘Welcome back Golden Oldies’ from the management this year was amazing. A wonderful time was spent with the inmates, and testimonies were shared. At the end, 5 Anglican inmates raced up to the local Anglican Minister, who had come with us, and asked if he would continue visiting them, as they have no visitors. It was the opening the Minister was hoping the Golden Oldies visit would create. Now he hopes to start a weekly prison visitation programme. 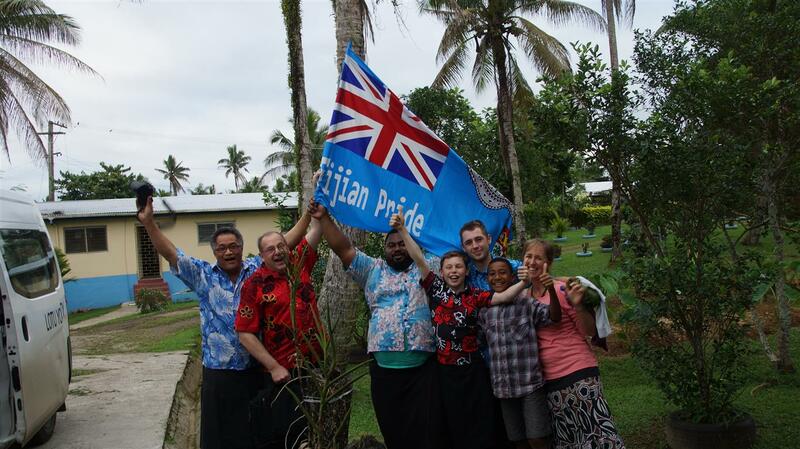 Everywhere we travelled we saw Fijian flags attached to cars, people walking with flags, horns totting, and the ‘Bula Fiji Gold’ phrase continually spoken. Basden College continues to provide second-chance education to young adults with excellent results. It was wonderful to hear that the 45 pairs of running shoes donated through Golden Oldies and supporters in Christchurch and New Plymouth allowed students to attend their first ever National Athletic championships, with 8 making the finals. Now all these shoes are being worn by the girls for the National Netball Championships! The evening saw a visit to a village where Golden Oldies had partnered to build a new toilet block several years ago, now has a new mural! The evening included singing and dancing. The village have a number of micro-business plans to help their people further, and we talked with the m about their dreams. One of our short term mission goals is to partner with churches, villages and mission projects to build the Kingdom of God. This village and others are discussing the business ideas and this coming week a Small Business Workshop is being run with business start-up funding being made available to help develop their ideas. The team ended up split for the big final, with a group of us watching with students at Basden College, and the other half with the children at St Christopher’s Orphanage. WOW! 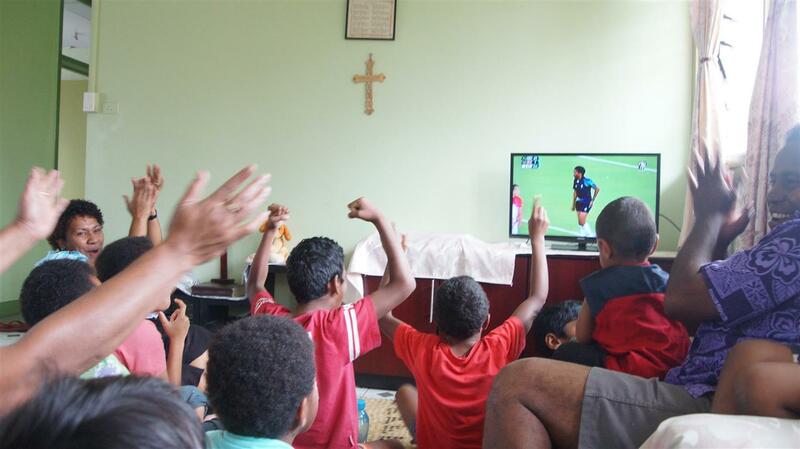 What a game, we were at the orphanage and we never heard the commentator with all the cheering and excitement. It was fascinating how much the young children knew. As the officials were announced they all responded that the referee selected was a good referee, they knew all about him! 43-7 and suddenly we were surrounded with high 10’s from the children, broad smiles, jubilation, and fireworks from the neighbouring houses. 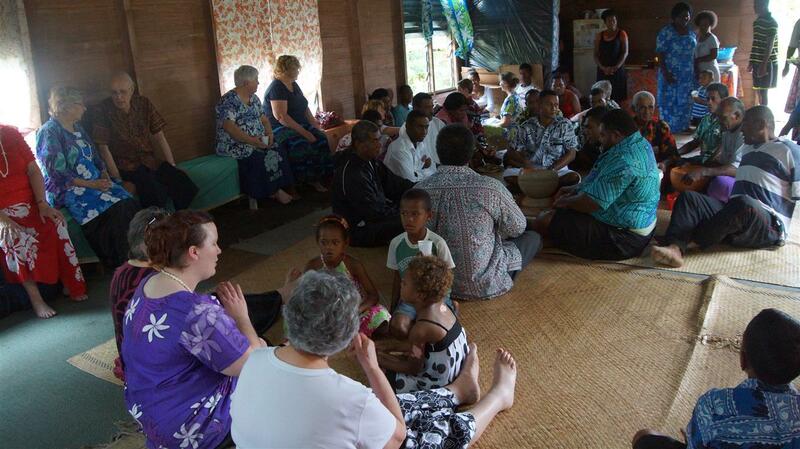 As the Fijians knelt in prayer I asked what they were saying in Fijian… ‘We have overcome, only because of the blood of the Lord Jesus Christ, and the word of God’. Then to watch them kneel to receive their medals, as we were told was customary in Fijian culture to bow lower to a higher authority, was incredibly humbling to observe. The first Gold for any Pacific Island nation. The news broadcaster said ‘it was the greatest moment in Fiji history’. By mid-afternoon it was announced that a Public Holiday had been declared on the return of the team in a week’s time! 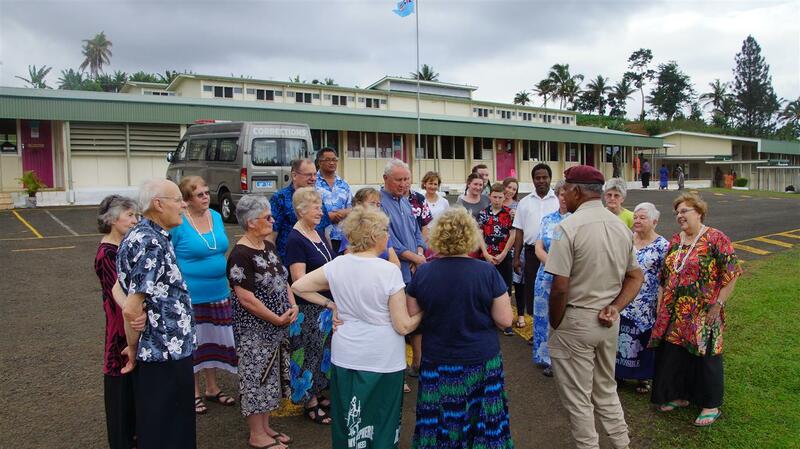 The GOLDen Oldies experiencing history with the GOLDen Fijians!